The beauty of Mauritius is no secret. In Mark Twain's book 'Following the Equator', he wrote: You gather the idea that Mauritius was made first and then heaven, and that heaven was copied from Mauritius. It's hard to say anything more complimentary than that! 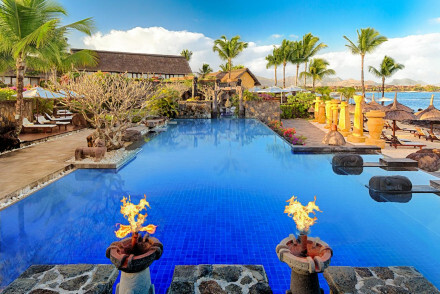 It's also a philosophy (in terms of creating a heaven for their guests) that most of the best places to stay in Mauritius attempt to adhere to. In addition to the soft, pale, sandy, palm fringed beaches of your best tropical island fantasy, Mauritius also offers a spectacular diversity of plant and animal life, draped gracefully around an extinct volcanic plateau. This is an island for exploring just as much as flopping on. As well as the incredible biodiversity, there are wonderful old colonial buildings - dating from both the French and British periods, ancient Indian temples, colourful markets and animal parks which make it easy to meet the locals. The cultural fusion from the mix of Indian, Creole, Chinese, French and British heritage of the residents means the cuisine is unique. Between the markets and restaurants there is plenty in Mauritius to please foodies. Diving round Mauritius is excellent and varied. As well as volcanic caves and coral reefs, there are also a few wrecks and plenty of marine life to meet, including dolphins. If you fancy an underwater experience but you're not an experienced diver you can do the 'Solar Sea Walk', which involves you suiting up into one of those old diving suits and walking along the bottom of the ocean. Or you could try the Blue Safari Submarine, which means you'll see some of the treasures of the reef without getting wet. For an island so small, Mauritius has a large number of reserves, and there are numerous opportunities for walkers of all abilities and fitness, from strollers to mountain hikers. There are also horse riding, zip lining and quad biking opportunities. The best places to stay in Mauritius will be able to arrange any of these activities for you. 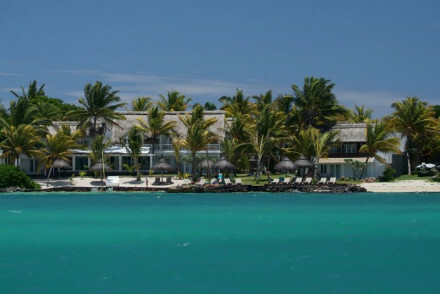 If you're looking for un-fussy luxury, one of the best places to stay on Mauritius is 20° Sud. This boutique hotel, in a coconut grove, is a paradise for divers and sailors. Its beautiful tropical lagoon offers plenty for waterspouts enthusiasts. Also great for foodies as there is a restaurant on the small island and an onboard one, the Lady Lisbeth. You might wonder why any Mauritian resort would be away from the island's perfect beaches, but the lush, tropical interior is an excellent place for relaxation and exploring as well. If you're looking for an environmentally friendly jungle base, then Lakaz Chamerel is one of the best. The skies above are clear of light pollution and there are open air showers, so you'll really feel as if you're a castaway in the rainforest. For those seeking some additional privacy, we recommend visiting our online partner Booking.com. International flights into Mauritius land at Sir Seewoosagur Ramgoolam International Airport (26 miles from the capital St Louis). The island has a year round temperature that offers perfect beach weather. Cyclones move through the Indian Ocean in January and February, so best to avoid booking a holiday then. 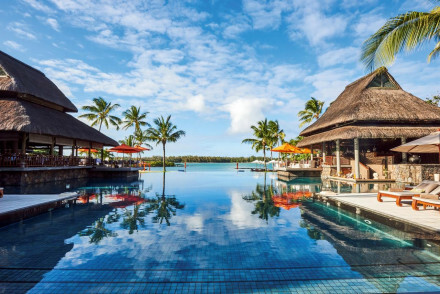 Browse through our list of all the best places to stay in Mauritius. Alternatively why not check out our list of recommendations in the Maldives? 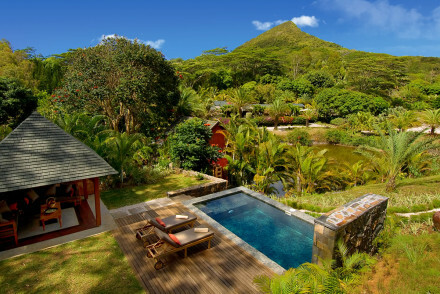 A charming and tranquil ecolodge hidden away in Mauritius’ tropical south-west corner. A truly relaxing experience awaits with wellness options including massage, reflexology and yoga. Great walking too in the Black River Gorges National Park. A wonderful off the beaten track destination. Cooking classes - The kitchen is open to all who wish to learn! The 5* Paradis Hotel and Golf Club is located on Mauritius' Morne Peninsula. A perfect blend of luxury and leisure, the hotel offers chic contemporary accommodation and provides activities for the whole family. Unwind in the extensive spa. Four top restaurants to choose from! A divine coastal spot! Blissful low-key luxury with a trio of restaurants and a glorious waterside setting. Four poster beds with billowing canopies and suites with either private hot tubs or private pools. Superb location on the North Coast a paradise for sailors, divers and those who simply want to chill out. 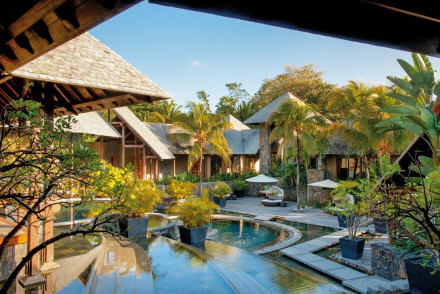 The Oberoi group know how to do luxury and this Mauritius addition is no disappointment. Set on the pristine Turtle Bay and surrounded by tropical gardens this is an ideal romantic escape. Rooms boast private terraces and sunken baths and there's a fabulous spa to ease away an aces and pains. Luxurious, exquisitely designed villas and suites situated on the edge of a white sand beach with stunning mountain views. The cuisine offers a thoroughly gourmet experience, the kids club is jam-packed with activities and the relaxing spa is ideal especially after intrepid island exploration! 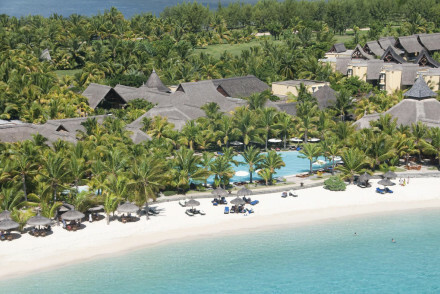 Luxury 5-star thatched hotel resort on a stunning white sand beach. A range of suites offer varying levels of luxury - each slightly more decadent than the next. Delicious gourmet cuisine is served up and there's a sublime spa for total rejuvenation. A beach idyll.